girlwithbeads Pegboard in the Press! 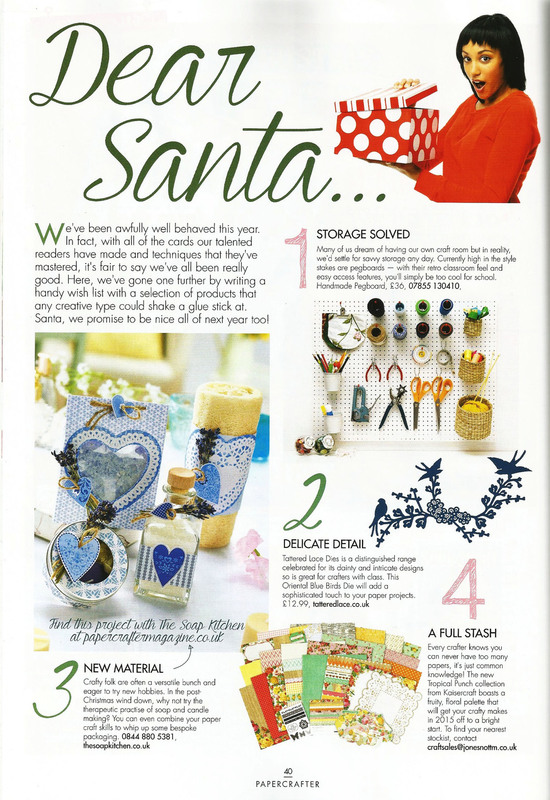 girlwithbeads Pegboard was chosen by PaperCrafter magazine for their Christmas Wish List in the latest issue. As a great storage solution for all your craft supplies & equipment, pegboards are currently in fashion for their retro feel & space saving usefulness. The chevron version of the pegboard also appeared in Etsy UK's newsletter this week as a jewellery display solution. Our pegboard has also been featured in Let's Get Crafting Magazine's 'My Crafty Resolution' article as a great solution to "clear the clutter".